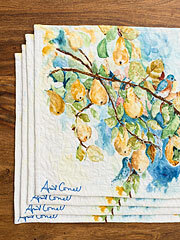 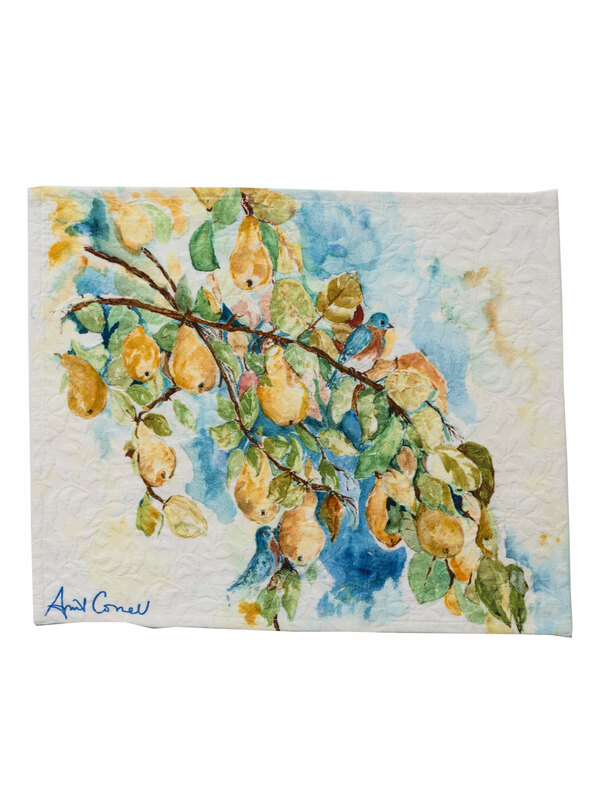 Plump pears and Carolina bluebirds pair sweetly in this celebratory vignette dedicated to autumnal bounty. 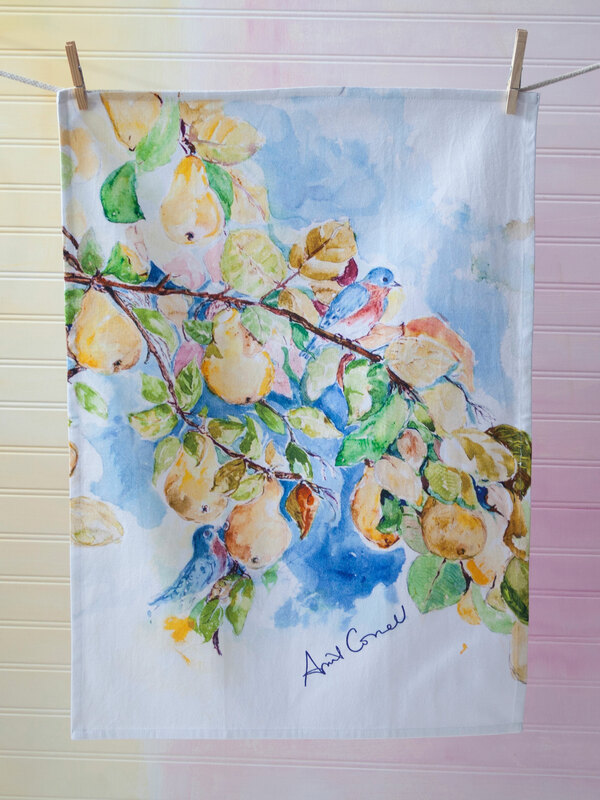 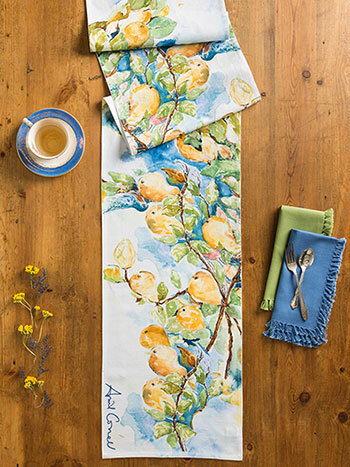 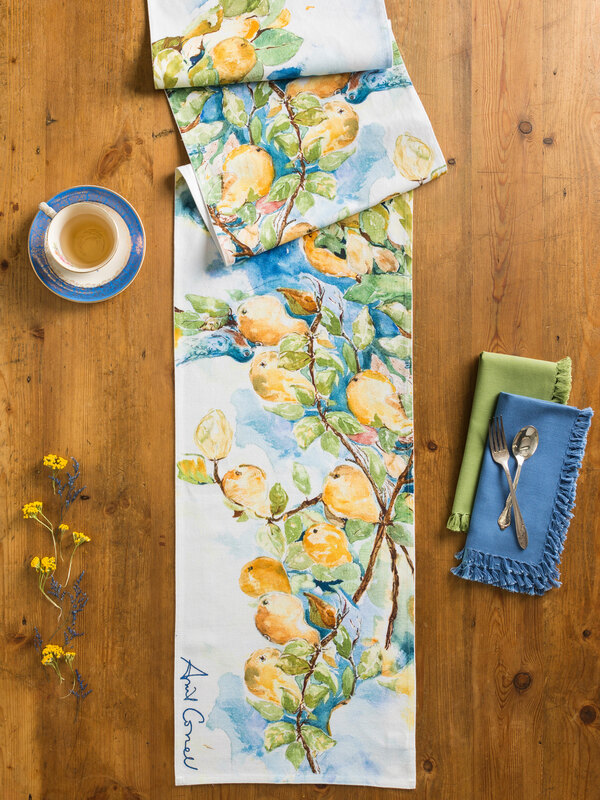 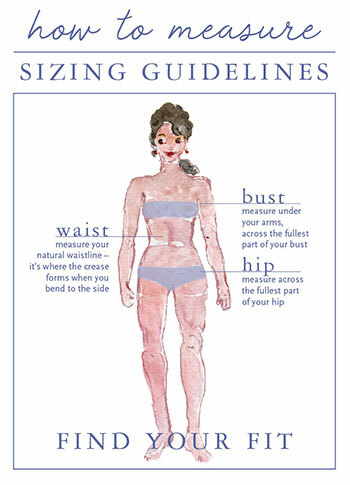 Our hand painted watercolors are designed to evoke an aura of soothing tranquility in the home you love. 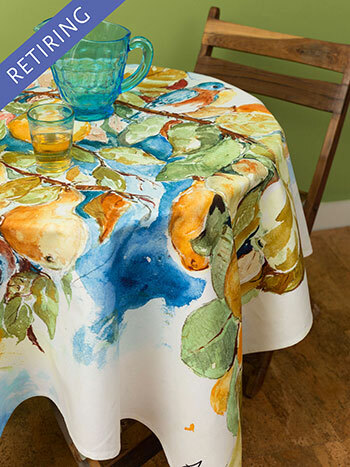 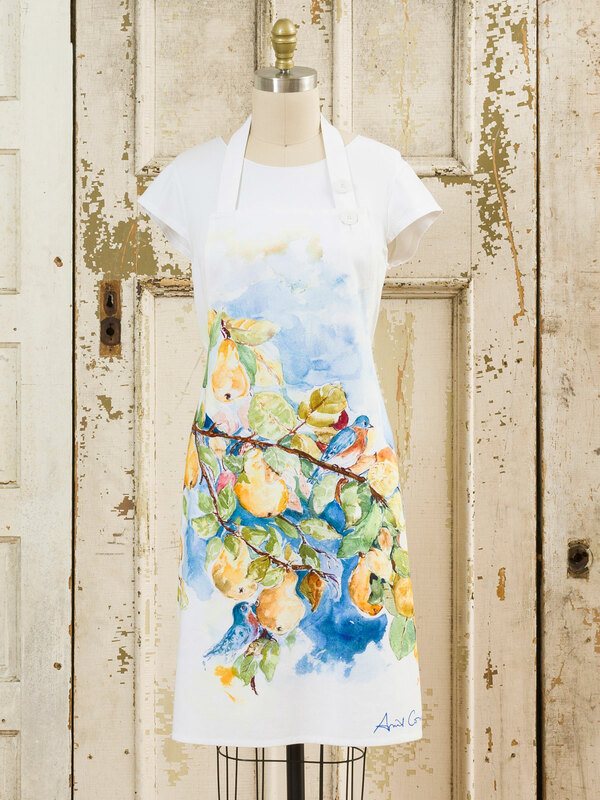 Specially delivered on supple yet resilient cotton matelasse with a great hand feel, this joyful print will inspire happy moments for years to come.